St. Lawrence & Atlantic RRs. Location. 43° 39.563′ N, 70° 14.899′ W. Marker is in Portland, Maine, in Cumberland County. 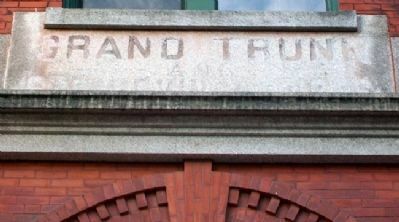 Marker is at the intersection of Commercial Street / Thames Street and India Street, on the left when traveling north on Commercial Street / Thames Street. Touch for map. 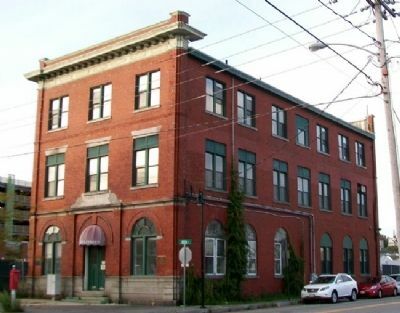 Marker is at or near this postal address: 1 India Street, Portland ME 04101, United States of America. Touch for directions. Reverend William I. Reese (approx. ¼ mile away); Rear Admiral James Alden (approx. ¼ mile away); Joseph Coffin Boyd (approx. ¼ mile away). Touch for a list and map of all markers in Portland. More. 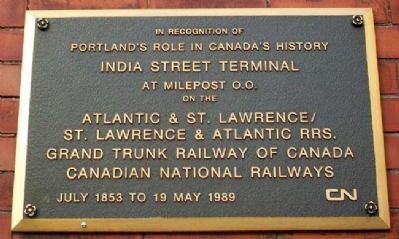 Search the internet for India Street Terminal. Credits. This page was last revised on June 16, 2016. This page originally submitted on December 12, 2011, by William Fischer, Jr. of Scranton, Pennsylvania. This page has been viewed 540 times since then and 8 times this year. Photos: 1, 2, 3. submitted on December 12, 2011, by William Fischer, Jr. of Scranton, Pennsylvania.